Stampede Steel’s alleys are available with or without catwalks. And use the natural flight zones of the animals to create forward movement and flow. All alleys open full width to 31” and will narrow down to 16” to accommodate all sizes of animals from calves to large bulls. This alley has a parallel axis movement, which means both sides move when adjusting the width of the alleyway. All controls for adjusting the alley are located at the front by moving one lever, hydraulially or manually. 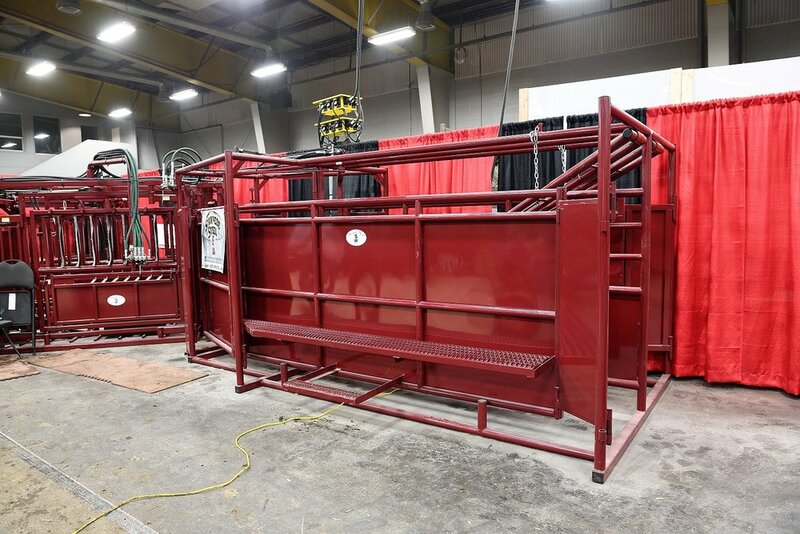 Stampede Steel has developed an alley that eliminates cattle from balking as they are entering the alley. We use the buddy system to create flow from the tub or Bud Box. This alley has two 30” fully parallel adjustable runs that allow cattle to flow into the system in a side-by-side fashion! This opens the congested tub or Bud Box to an alley area by 3’. We use the same parallel axis design utilized in the squeeze chute and single alleys to allow all sizes of cattle to be processed. Cattle will be less stressed standing side by side! This alley tapers down to a single width so the animals are able to enter the single alley with greater ease and optimum flow. This will allow you to process the volume you need without adding extra stress on operator or animal. To maximize your handling facility, place a Double Lead In Alley between any SS Tub, SS Bud Box, or any SS Alley. The “S” alley is available in 20’and 30’ lengths. The Straight alley is available in 11’,13’,22’,33’ lengths. All alleys are available in hydraulical or manual operatation. Alleyway panels are 8” off the ground so that even in bad weather conditions your alley will still be adjustable! The open side option,means the alley is sheeted on the bottom third while leaving the top two thirds open. The solid option is a full 48” solid panel with a 6” spaced rail on top.